One multi-use trail for walking and biking is good. Two is better. But a network of interconnected trails is best. 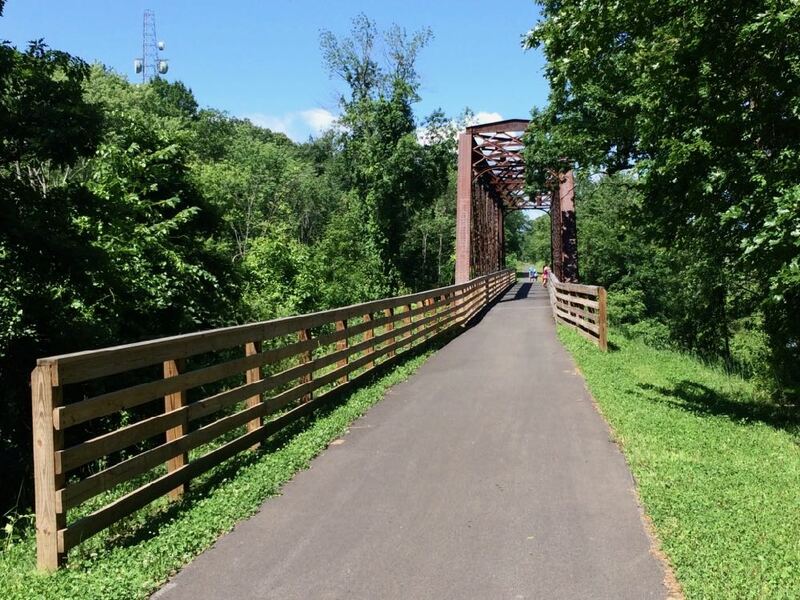 The Capital District Trails Plan is a strategy to link together the various multi-use trails in Albany, Schenectady, Rensselaer and Saratoga counties into a single connected network of trails for everyone in the region to enjoy. This planning effort will identify existing trail locations throughout the region and work with local communities to envision potential new trail routes which will infill missing segments, connecting to each other and to key points of interest. This plan, sponsored by The Capital District Transportation Committee (CDTC), will involve the input from residents, community leaders and stakeholders through different public meetings, workshops and surveys as they are scheduled throughout the coming year. The goal is to develop a vision for a connected, regional network of multi-use trails that is accessible to all Capital Region residents. Here are a few ways to offer input, whether it's a public meetings*, a survey, or a crowd-sourced map (check out the "trail concept" for a loop through Albany off the Helderberg-Hudson Rail Trail). Paths such as the Mohawk Hudson Bike-Hike Trail and Albany County Helderberg-Hudson Rail Trail are already popular. And there are some interesting projects like the Albany Waterfront Connector and the Albany-Hudson Electric Trail in the works. From our perspective, one of the challenges/opportunities now is figuring out ways to connect local neighborhood routes to these paths so they can be more useful as transportation corridors and just offer more general access. * Maybe these meetings could have been scheduled at times that would have made it easier for people to attend. Update: We hear these meetings are primarily for trail groups, planners, and public officials. "... connect local neighborhood routes to these paths so they can be more useful as transportation corridors." Amen. I am giving my suggestions for interconnected bike trails. I would rather like to see more trails connected and long distance but going south, far south as possible. Albany to Nanuet, NY and back. Later on nice nature lodging can be added so people can take weekend bike adventures and have some place to rest and then get back on their bike. In this way we can take back our streams and forests or woods that have been polluted and neglected and restore them back to their original natural conditions. I think a focus to go south is more promising than going north. For instance I would rather go to Woodstock than go to Saratoga. I think this is something to think about. We can widen the shoulder on 9w south for bike riders. Semi-related. They really need to repair the corning preserve trail heading from albany to watervliet. The ridges caused by roots in some areas were pretty bad last year. I can only image that they are now worse. I fell two years ago on an area of the Mohawk-Hudson that had similar conditions. Broke 3 ribs. I ride the trails daily and I have to strongly second Tim's comment above on 2/28 at 4:38 pm. What is the point of planning more trails and more connections when the Corning trail at a point less than 3 miles from a major city is useless? I tried the trail that way once a week and was amazed it never got fixed. And Tim cites an accident on another part of the trails based on the same lack of maintenance. I have a steel frame which takes out some of the bumps but those ridges are ridiculous. I can only ride the other way on the rail trail now. We'd really like you to take part in the conversation here at All Over Albany. But we do have a few rules here. Don't worry, they're easy. The first: be kind. The second: treat everyone else with the same respect you'd like to see in return. Cool? Great, post away. Comments are moderated so it might take a little while for your comment to show up. Thanks for being patient. All Over Albany is for interested and interesting people in New York's Capital Region. In other words, it's for you. It's kind of like having a smart, savvy friend who can help you find out what's up. Oh, and our friends call us AOA. Albany tightened its rules for shoveling snowy sidewalks last winter -- so how'd that work out? My three year old son absolutely loving riding the train around Huck Finn's (Hoffman's) Playland this summer. ... said KGB about Drawing: What's something that brought you joy this year?